Good afternoon everyone in Blogland I'd like to share with you today my favourite card so far using the Because I care stamp set. This is one of Stampin' Up's free stamp sets that you can get just by having a party in your home! I am offering a special offer to anyone booking a party with me this month. If you book a party with me, you will get a free Sale-a-bration stamp set as an incentive. 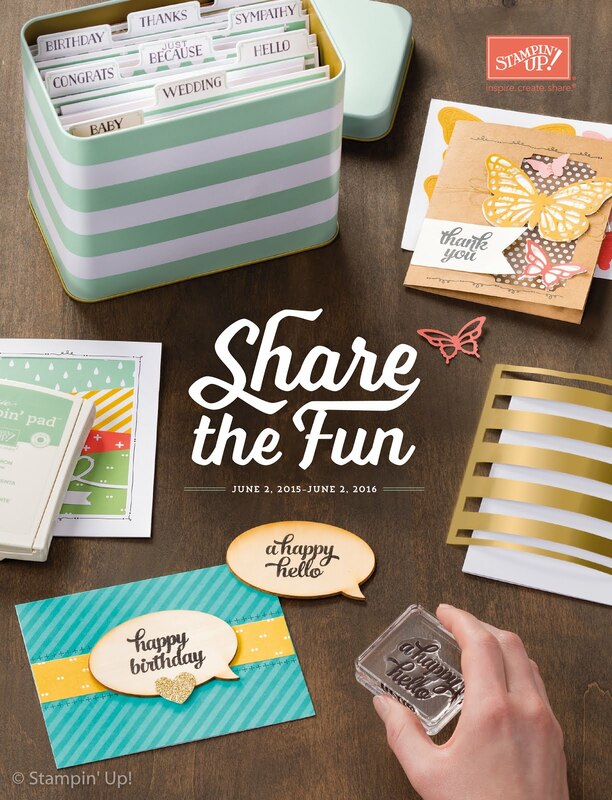 This is being offered by me, not by stampin' Up and is only available in the month of June. 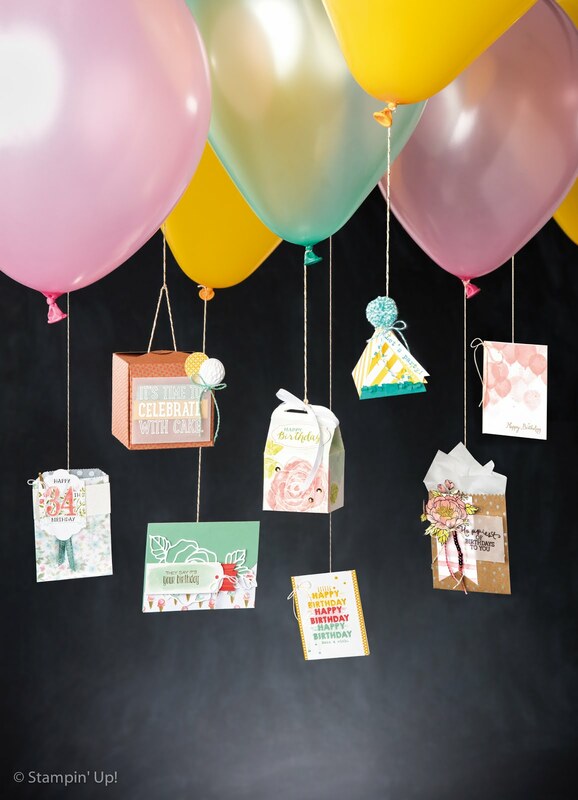 In addition to this fantastic offer, Stampin' Up are giving away an extra £20 free when orders in your workshop party are £250 and above, this is in addition to the free hostess stamp set they will give you and the £25 to spend in the catalogue. So just to recap, if you host a party this month and your sales are £150 you will get a free stamp set from me, a free stamp set from Stampin' Up and £15 to spend in the catalogue. If you host a party and your sales are £250 and above, you will get a free stamp set from me, a free stamp set from Stampin' Up, and £45 to spend in the Catalogue! This is by far and away the best deal I have ever seen Stampin' Up do so this month could not be a better month to have a party. Contact me today on 07795474490 or email me at cpoxon915@gmail.com. Anyway, back to the card. I decided that after yesterday's very elaborate card I would like something quite simple, A very talented member of the Stampin' Up team I belong to figured out how to make brackets by turning the top note die and cutting it twice. I decided to do this with the decorative label punch and it worked! I punched a little way into the card and then positioned the punch further on towards the middle of the card and punched again, this made the brackets. I decided to use the brackets to frame the sentiment and the embellishments on the card. I used the small flower stamp from the set and stamped it three times in a row ( I should have used the stamp-a -majig!) in melon mambo and them the "thank you" stamp in crumb cake. The basic pearls and the basic rhinestones work really beautifully together so I decided to use the pearls to separate the flowers, and the rhinestones to embellish them. The row of pearls at the bottom of the card draws the elements of the card together. The punching around the edge of the Whisper White card stock were made really easy by using the super mat and guide set that Stampin' Up sell to complement the paper pricking tool. 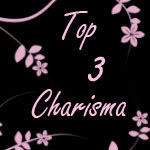 So thank you all for visiting my blog, if you would like a tutorial on the brackets then leave me a message and I'll upload one at the weekend. Don't forget the offer on the parties this month, call me or email me today to literally be the hostess with the mostest!